To highlight a summer of celebration, great music and festival fun, music fans are being invited to put themselves “centre stage” in exchange for the chance to win a pair of VIP Isle of Wight Festival and Bestival tickets for 2016, including ferry travel with Wightlink. Festival goers will be encouraged to take photos of themselves and friends enjoying the Isle of Wight Festival and/or Bestival and share the photos on Twitter, Instagram and on Wightlink’s Facebook page. By tagging their pictures #wightlive, posters will automatically enter the VIP competition and be added to the wightlive.co.uk gallery where viewers can vote for their favorite images. The overall winner will be chosen from the Top 10 highest voted photos. Wightlink Ferries is also asking all festival goers and fans to join in the festival celebrations and conversations by using the hashtag #wightlive as well as the individual festival hashtags. In this way they can join in the festival vibe throughout the summer. Last year festival orgainsers, famous attendees and acts all joined in the hashtag and this is expected to grow in 2015. The 2014 campaign, run in collaboration with Visit Isle of Wight, resulted in over 2000 competition entries and a 155% increase in Wightlink’s social followers for during the campaign. The winner, Hannah Wilcox who took a picture during the Biffy Clyro set at the Isle of Wight Festival, is returning in 2015 with her Access all Festivals Pass. She has recently blogged her top festival tips on the Wightlife blog. 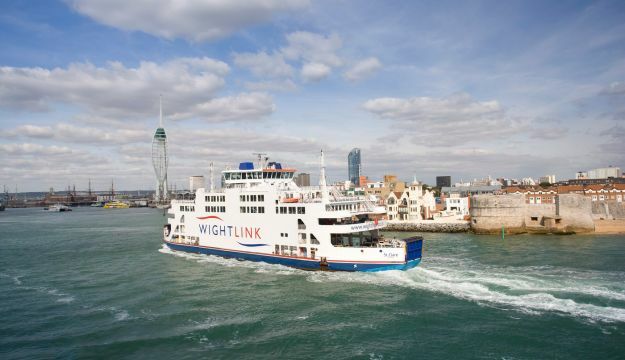 The success of #wightlive 2014 led to Wightlink and its PR agency Flagship Consulting winning a bronze at the prestigious Travel Marketing Awards and resulted in Wightlink being named the top transport provider in the UK for the campaign at the Social Travel Britain Awards 2015.